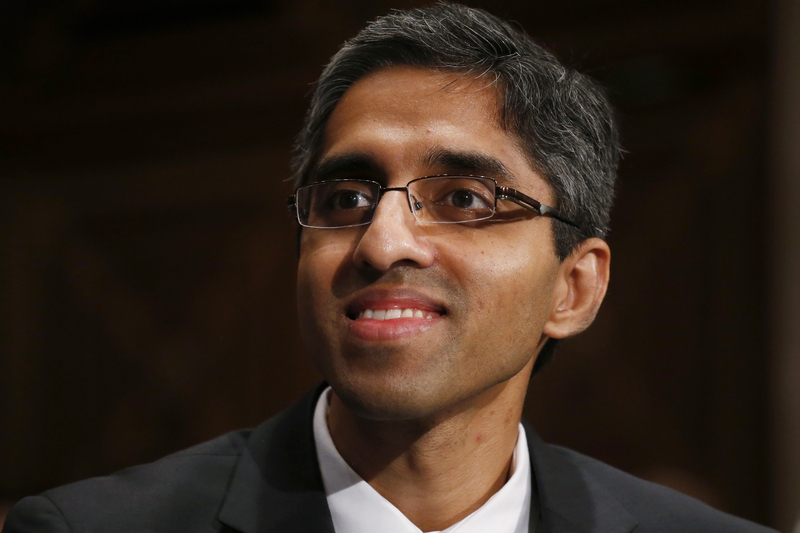 President Donald Trump’s administration has dismissed Obama-era Surgeon General Vivek Murthy and replaced him with the deputy surgeon general, a nurse. A spokeswoman for the Department of Health and Human Services says Murthy was asked to resign after “assisting in a smooth transition” under President Donald Trump. Murthy’s deputy, Rear Admiral Sylvia Trent-Adams, is serving as acting surgeon general and leader the U.S. Public Health Service Commissioned Corps until the Senate confirms a replacement. Her previous positions include being a nurse officer in the U.S. Army. Health department spokeswoman Alleigh Marre said Murthy will remain a member of the U.S. Public Health Service Commissioned Corps. Murthy addressed his departure on Twitter. “While I had hoped to do more to help our nation tackle its biggest health challenges, I will be forever grateful for the opportunity to have served,” Murthy wrote. His post addressed the addiction crisis, which he wrote that “we will only be successful in addressing addiction – and other illnesses – when we recognize the humanity within each of us.” In November, he authored a report calling for Americans to view addiction as a chronic illness and not a character flaw. Murthy had called gun violence a public health crisis, and the National Rifle Association tried to block his confirmation in 2014. At the time of his confirmation, he pledged to make obesity one of his signature issues. Murthy, 39, is a native of Britain and a graduate of Harvard and Yale.